A belated Brappy Holidays to you all from the Brap Talk podcast crew, and good news as Episode 3 dropped just in time for the holidays (we are a little late posting it up to A&R). As the title of the show suggests, in this episode our big topic is what motorcycles we would put in our dream garage, with little regard given to whether or not they would fit in Santa’s sleigh. Before we get to our picks (and why we picked them), we cover a bit of news. 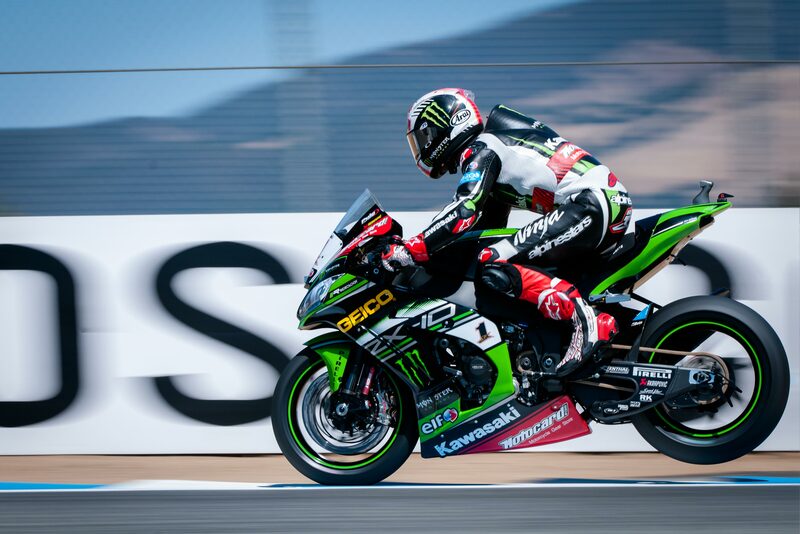 First up is the news that Laguna Seca has been added back into the 2019 WorldSBK Championship calendar. While the line up for the 2019 MotoGP season was settled surprisingly early in the year, the opposite has been the case for WorldSBK. With just two weeks to go to the first full test of 2019, there are still a whole range of seats open, and questions going unanswered. One of the reasons for the delay became clear at the EICMA show in Milan last week. While the manufacturers were presenting their newest bikes, including some of the key machines that will star in World Superbikes next year, a couple of manufacturers also presented their racing programs for 2019. Perhaps the biggest story came from Honda, where HRC presented Althea and Moriwaki as their new partners in running their WorldSBK program. After a partnership of three years, and a relationship going back nearly two decades, Ten Kate are out, with the Italians and Japanese taking over. It wasn’t just Ten Kate: title sponsor Red Bull were also out. The energy drink firm had signed up when Nicky Hayden was with the team, a big name draw for sponsors, and a rider with a long connection to Red Bull. It was Red Bull who brought in Jake Gagne, the American who never really found his feet in the WorldSBK championship. After two years of poor results, Red Bull withdrew. I am just now getting to the photos I took during the WorldSBK round at Laguna Seca, so apologies for the delay. As such, I have compiled the entire weekend’s shots into a single gallery, rather than breaking them out by day. The order isn’t chronological then, but instead works its way around a lap of the track. The gallery starts in pit lane, with bikes and riders getting ready to take to the circuit. Next follows the pageantry of the starting grid, as my colleague Andrew Wheeler would call it. A few shots from Turn 1 (the scariest turn in all of motorcycling, if you ask me), Turn 2 (the double-apex known better as the Andretti Hairpin), and Turn 3 (one of my favorite turns, as a rider) to get things started. I pick the WSBK riders up again at the top of the hill at Turn 7. This vantage point always provides some good heavy braking shots, with riders often lifting the rear-wheel off the ground as the head into The Corkscrew – though, I didn’t seem to get that shot this year. Taking a number of vantage points to this iconic turn, I shot the Corkscrew from both the inside and outside. The inside shots are the ones that are more famous, but my favorite photos from Laguna Seca always come from the outside, where on a clear day you can see the Pacific Ocean in the background. Coming down The Corkscrew I got a sequence of PJ Jacobsen finding the wrong line through the turn, with the marshals facing a very difficult bike recovery situation, which included fluid on the course. Following the line through The Corkscrew, riders sweep wide into Rainy Curve (Turn 9), before tightening the line at the apex. The Corkscrew isn’t that technical of a turn to ride, beyond the fact that if you get it really wrong, you will lose all your drive down the hill and thru T9. One of the few right-handers, Turn 10, and then the bus stop that is Turn 11, and the racers are back on the front straight. This is where I caught them again, power-wheelieing out of T11 and accelerating in front of the grandstand. If you do this 20 or so times faster than anyone else, you find yourself in parc fermé with bubbly in your hands. This year the crowd got a taste of the prosecco as well, courtesy of Jonathan Rea. Enjoy the shots, I left them in super-high resolution form in case you need a new desktop background. Note, there are more photos in the thumbnail gallery, if you want to click through those as well. The American Frontier was about finding a way to survive. To do this, people from all over the world had to work together and find a way to coexist on the open plains and in the mountains. They did this because they knew the rewards could be massive. Unimaginable wealth was underneath the rivers and mountains of the West Coast, and everyone believed they would find it. Every racer in the world also believes that their trophies and points are at their fingertips once they have the tools at their disposal. Finding a way to work with a group of people from all over the world, and making them believe in you, is crucial. The American Dream was founded on the ideal that anything was possible, and Racer's Dream is based on the belief that you're the best in the world and any issues you're having are just a temporary delay of the inevitable. At Laguna Seca, we had proof once again that the Racer's Dream is real. It’s always good to come home. That’s how I feel every time I return to Laguna Seca. Driving off of Boundary Road, and onto the perimeter of the track, then cresting the big downhill that descends behind Turn 2, towards the green parking area, I always get a big smile knowing that a great weekend of racing is about to begin. This weekend was no different, with bright, sunny skies, a good crowd, and lots of great racing in both the World Superbike and the MotoAmerica series. The US Round of the 2018 WorldSBK season highlighted, once again, the importance of hard work in motorcycle racing. Last year, it was hard to imagine Milwaukee Aprilia standing on the podium on merit; on Sunday Eugene Laverty made his long-awaited return to the rostrum. We have seen in recent rounds Yamaha win three races with the R1, but last weekend’s races arguably did more to prove the potential of the bike.